October is one of my favorite months and it definitely flew by this time around. I can’t believe it’s already Halloween! In an attempt to get the most out of Halloween I visited the pumpkin patch last weekend in Ardenwood Farm in Fremont, CA. In an effort to stay comfortable and protected from the sun, I threw on the most comfortable pair of denim and boots in my closet and the largest pair of sunglasses I own. Lace tops are also super breathable which served as the perfect compliment to my outfit. Although my outfit doesn’t scream Halloween, I’m definitely excited about my Halloween costume tonight 😉 What are you all dressing up as? 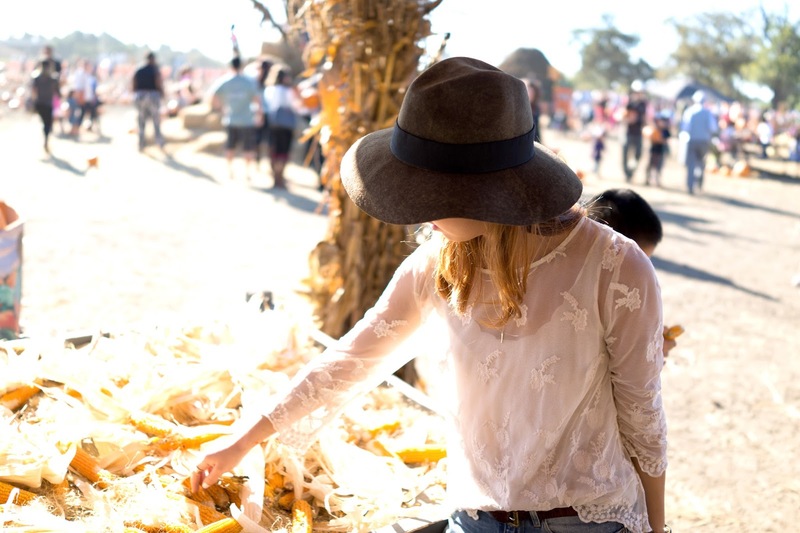 perfect pumpkin patch outfit! xO! This is soooooooooooooooooooooo coool!!! I had to take a double take, "is that a pumpkin wall?" WOW Love your look. Cute and Casual!! !